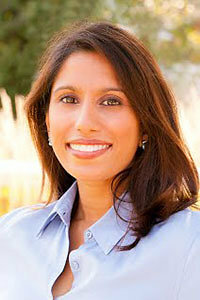 Dr. Bajowala has been practicing in the Fox River Valley since completing her extensive training in allergy and immunology. As an allergy sufferer herself, she has a unique ability to identify with her patients and assist them in developing a comprehensive plan to control their most troublesome symptoms. Dr. Bajowala is happily married with two young sons. She’s not only your local allergist, but also your neighbor- she lives with her family in Sugar Grove, IL. Her interests include interior & graphic design, exploring diverse cultures through world travel, and vocal performance. As a recognized expert in the field of Allergy and Immunology, Dr. Bajowala is frequently consulted and quoted by health journalists in print, online and radio media. Are You Allergic to the Holidays? Help! I have fall allergies! Feeling Tired? What Causes Fatigue? How do I allergy-proof my outdoor wedding?